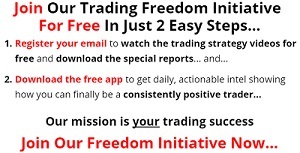 Traders Elite is another scam which claims to give you the secret of making a truck load of money in a short time. This time around Traders Elite claims that their software has the key to identifying the exact millisecond for entering into and exiting trades. Plus, they are selling various video tutorials and reports which claim to get you started. In the past these people were selling a signals service where traders were urged to become members by subscribing and receiving so called ”reliable signals” but in reality they received trash. The biggest problem we have with Traders Elite is that they don’t help traders achieve what they say. Those who have subscribed to the false signals service in the past have complained about the money they have lost from the first day of subscribing to the system. So, that itself is something worth knowing. All the complaints that we’ve read about Traders Elite have led us to take a negative view of the trading app. We don’t want any more people to fall into the trap laid out by these scammers. Plus, there are a couple of things worth knowing about these people. Michael Nurok and his team of gangsters have created a network of scam sites and know nothing about trading. That has resulted in their clients ending up with bad trading data which has consequently caused most of their clients who follow them blindly to lose money. Their recently introduced ”managed account service,” has resulted in a massive 85% loss for most account holders in just one month. If anything it’s a testament to just how much they don’t know about trading. The fact is that not only is Traders Elite a horrible signal service but they also dupe traders on purpose. Even though members are guaranteed between 2000-3000 pips each month but that is not what their subscribers are getting, and the reviews state that clearly. Check their system, and it’s pretty clear that for every successful trade (which is rare) traders lose three times as much. When it hits a 45 pip stop loss, it is stated as 45 pips that have been lost. So, each person’s position is just 1/3 of their entire position. When traders end in the money, all the three positions are suddenly added up instead of them being divided by 3 as it should be. So, traders are given the false perception that winning a trade means that it will cost them 3X their profit which is true in 99% of the cases. All the talk about performance measurements just boils down to the fact that Michael Nuron is a professional smooth talker. Interestingly these people also have a copy trade service which claims that they are able to extract huge chunks of pips from the market and make you rich within a month. Apparently that never happens. Our research into their copy trade service shows that those who have used it have reported a loss of up to 2050 pips if not more on average. The performance from July and September falsely indicate that traders were able to gain up to 4000-5000 pips. Over the course of some time, traders have outright accused Traders Elite of stealing their subscription by providing them with false performance reports and promises. Unless you want to lose a lot of money trading, there is no reason to signup to Traders Elite. Not only will you lose your monthly subscription fee but also but also your investment which turns out to be a pretty significant amount. How They Fool Newbie Traders? Setting up a trade copy system is very easy for anyone who has used an expert advisor service in the past. All the money/risk settings are pretty easy to set too. So, you shouldn’t be fooled into thinking that these things are adding any sort of value to your trading portfolio. Though you will be subjected to hell since your losses will only be magnified every minute even though you may have these features activated. Traders Elite uses a ticketing system which serves no purpose in practice. There is nothing to be happy about because the feature will never go on to answer any emails. And that’s something you can be sure of! All the false packages are sold to unsuspecting people by being labeled as ”affordable.” However, you will not receive any value for money since they aren’t affordable in both the long and short term. Traders Elite claims that they offer people a guide to learning how things work on their platform. Though the user guide is a mix match of grammar issues, spelling problems and run off sentences making it hard to understand. It indicates that nobody took the time out to write something that people using the system would find useful. The reason they never took the time to write something worth reading is because they don’t intend on being around for long. So, why would anyone in their right minds want to invest in a system that does not care about the finer details related to their service? The other thing that goes against the Traders Elite scam is using the Gold symbol. While the website clearly uses XAU/USD, which is a different thing. Though the poorly written guide despite us reading it multiple times has no mention of it. So, that’s enough for many other experts and us to label it a scam. After you have subscribed to the system, you are going to notice something strange suddenly happen. We have no idea whether these people are focusing on generating good signals or just trying to change the prices because they never answer any questions or the concerns you raise. It’s obvious they don’t care. The provider fails to report all the trades in Myfxbook for some reason. The reporting that they do make is dishonest, to say the least. So, the result is something that will never tally, and that’s a huge red flag for traders to consider. Traders Elite claims that they have 3.3K Facebook users who have liked their page. But when we checked the page, it didn’t have any user activity. One would think that a Facebook page with over 3000 users wouldn’t have a problem with user engagement. But how come nobody is even commenting here or discussing the product. Obviously these users are fake. 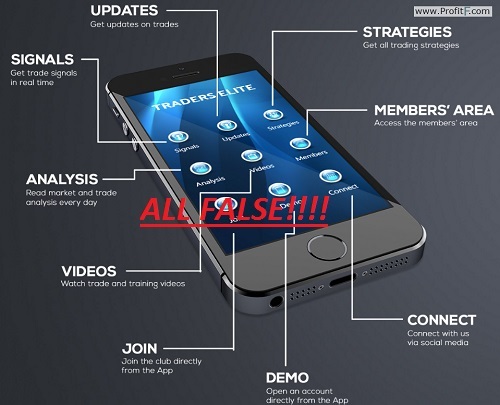 Traders Elite is a horrible product which is akin to a scam that you should steer clear of. Even though we’d admit that there are good systems like Option Robot out there, but the vast majority of these are scams. Traders Elite does not seem to care about its image or the finances of its traders. We can never trust it especially since after so many traders have reported losses.